Colour image of NGC 6946 in Cepheus processed from three black-and-white digital photos taken through red, green and blue filters by Chris Gainor on the two-metre Plaskett Telescope at the Dominion Astrophysical Observatory in Victoria, 11-12 September 2002. Image processed by John McDonald. This year’s celebrations of the twentieth anniversary of the launch of the Hubble Space Telescope have rightly focused on Hubble’s stunning images of the cosmos and Hubble’s many important contributions to the body of knowledge about our universe. Almost forgotten in these commemorations is the fact that Hubble helped popularize and revolutionize amateur astronomy because it helped move astrophotography from photographic film to digital detectors. This was driven home to me by a recent article on Hubble by art historian Elizabeth Kessler in the spaceflight history journal Quest. Historians like Kessler look at how society affects art, and vice versa. In this case, she was writing about the cultural impact of the Hubble images that have so captivated the public in the years since Hubble was launched in 1990. In the 1970s, astronomers and engineers at the U.S. space agency NASA had to decide what kind of electronic detectors would be used for imaging in the proposed orbiting space telescope that became Hubble. Photographic film had already been ruled out since it would be difficult to retrieve from space, among other reasons. The electronic detector choice came down to a specialized type of vidicon tube, as was used in television cameras at the time, or the charge coupled device. CCDs had been invented in 1969. CCDs then available had many limitations, but new and better CCDs were being developed for military and commercial purposes. In spite of the many disadvantages early CCDs had for astronomy, the first astronomical images with CCDs were taken in 1976, and the next year NASA decided to use CCDs for one of the main cameras on Hubble. And while most major telescopes began using CCD cameras in the 1980s, their limitations and expense kept CCDs out of the hands of amateur astronomers until much later. Computers and software were needed to process CCD images, and in 1990, the same year Hubble was launched with its digital camera, Adobe launched its new image-processing program, Photoshop. In the media and among the public, debate began about the newfound ability to manipulate images. In common with most major telescopes, Hubble’s camera shoots only monochrome (grayscale) images, and colour images are then produced by combining the monochrome images shot using colour filters. Kessler noted that colour astronomical images had been difficult to produce on photographic film, but digital images provided many new options for processed colour astronomical images. Hubble’s first deep sky images were seriously flawed due to an error in Hubble’s mirror curvature. After the problem was repaired in a 1993 shuttle repair mission, the first clear deep sky images from Hubble were taken in 1994, and scientists and technicians at the Space Telescope Science Institute had to decide how to process them for colour, contrast and composition before releasing them to the public. Particularly since 1998, when the release of colour images from Hubble became more systematic with the beginning of the Hubble Heritage Program, the Space Telescope Science Institute has not only released images but also descriptions of how those images were processed. Indeed, those involved with processing and releasing the images have provided a great deal of detailed information about their work, including academic papers, a 2002 article in Sky & Telescope, presentations to astronomy meetings, a television story on 60 Minutes, and of course information postings on the Hubble Heritage website. Since the Hubble data, including raw images, are available to the public after principal investigators have had exclusive access to the data for a time, members of the public can process their own Hubble images, and many have done so. Kessler concluded that Hubble has contributed to the public’s cultural acceptance of digital images, which have gone from a being novelty at the time of Hubble’s launch to becoming omnipresent today. As a historian of technology and someone who has been an amateur astronomer since the days when the Hubble Space Telescope was just an idea, I have pondered the role Hubble played in the transformation of amateur astrophotography, thanks to Kessler’s article. 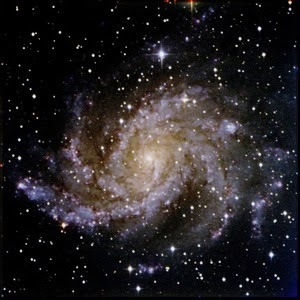 There is no doubt that the availability of CCD cameras, powerful personal computers, image processing programs, and of course the internet, drove the digital revolution in astrophotography. While I have only dabbled in astrophotography, I certainly remember that the changeover from film to CCDs was not a painless one for my friends who had spent long hours learning how to hyper and process photographic film and prints. With the arrival of digital cameras, they then had to master the new dark arts of digital processing. I use the word “arts” deliberately, because of the options made available by processing digital images. Images of distant stars, galaxies and nebulae, be they produced on film or CCD, do not and so far cannot replicate what the eyeball sees through the eyepiece. Therefore each image involves judgment calls by the person processing the final image, which is often produced from multiple originals. In deciding the “right” colour or orientation, I wonder how often the well-known images taken by Hubble or by astronomers working at facilities such as the Canada-France-Hawaii Telescope influence – consciously and unconsciously – the choices made by amateur astrophotographers when they are sitting at their computer terminals. Ultimately, this question is one for further study by astronomers and historians, but it is certainly worth consideration today as new cameras, telescopes, processing programs and computers give amateur astronomers new means to better view distant objects. Elizabeth Kessler. “The Hubble’s Anniversary,” Quest: The History of Spaceflight Quarterly,Vol.17, No. 2, 2010, 34-43. Robert W. Smith. The Space Telescope: A Study of NASA, Science, Technology, and Politics. Cambridge: Cambridge University Press, 1993. Ray Villard and Zoltan Levay. “Creating Hubble’s Technicolor Universe,” Sky & Telescope, September 2002, 28-34. The shuttle Columbia casts a shadow on the sky during its launch on November 11, 1982, for the STS-5 mission. Chris Gainor photo. As the United States space shuttle program ends after 30 years of flying, many observers have called the shuttle a failure. In many respects, that harsh judgment is correct, but a fair assessment of the shuttle leads to a more nuanced conclusion. The shuttle’s reputation suffers because it followed the six Apollo landings on the Moon, the high point of NASA’s existence, when the U.S. space agency met President John F. Kennedy’s audacious – and unambiguous – goal of landing a man on the moon in the 1960s and returning him safely to the Earth. The shuttle clearly failed in its first goal, because the costs of launching a payload on the shuttle remained for all practical purposes as high as they were in the 1960s using rockets that were thrown away after each flight. The end of the shuttle means that all satellites and spacecraft will go into space atop expensive expendable launch vehicles as they did before the shuttle program. NASA’s promise to meet Nixon’s cost cutting goal was arguably far more audacious than the lunar landing goal met by Apollo. Building a vehicle that could leave Earth’s surface and atmosphere, go into orbit at a speed of nearly 28,000 km per hour, return to a stop back on the ground, and then repeat the feat, is a very tall order. Meeting this goal was difficult enough without the limits placed on NASA’s budget in the 1970s. To develop the shuttle with limited development budgets, NASA had to agree to a shuttle with a throwaway fuel tank and solid fuel boosters in place of NASA’s original concept of a piloted reusable booster vehicle. These compromises resulted in very high operating costs for the shuttle that have many times outstripped the savings achieved in the 1970s. To win approval from the president and Congress, NASA had to bring the U.S. Air Force on board the shuttle program. The result of the air force’s demand for a shuttle that could return to its launch site after one orbit was a shuttle orbiter with delta wings and fragile tiles that could handle very high re-entry heat loads. The shuttle became heavier, more complicated, more delicate and more dangerous than it needed to be. By its very design, the shuttle failed to meet its goal of greatly lowering costs. Its design also betrayed NASA’s hopes of a vehicle that could be quickly turned around like an airliner and re-launched. By adopting an ‘if-we-build-it-they-will-come’ philosophy, NASA continued to keep the hope alive that the shuttle would meet its quick turnaround goal. This illusion came to an end on January 28, 1986, when the shuttle Challenger disintegrated shortly after launch, killing its crew of seven. The air force quickly withdrew from the shuttle program and a presidential order removed commercial payloads from the shuttle. NASA rebounded from this setback by turning the shuttle to NASA’s original goal for it, building a space station, in this case the International Space Station, a major if controversial achievement that will outlive the shuttle. The loss of the shuttle Columbia and its crew of seven in 2003 led to the decision to bring the shuttle program to an end when the construction of the space station was complete. The unstated reason behind Nixon’s 1972 decision to begin the shuttle program was to pull the U.S. out of an aerospace recession caused by the end of the Apollo program and reductions in defense spending. The shuttle program became a great success as a jobs program for the aerospace industry in California, Texas, Florida, and elsewhere. Each NASA facility and contractor plant has been protected by powerful members of Congress. Ironically, most of them are Republicans who usually claim to support free markets and smaller governments. In its 30 years of operation, the shuttle flew an average of four-and-a-half times a year, far less than the weekly access to orbit that NASA promised in the 1970s. The shuttle carried 355 different people 852 times into space in its 135 flights. Those people came from 16 different countries. One of those countries was Canada, which sent eight astronauts to fly on board the shuttle. When the shuttle program began, Canada had no plans at all to send anyone into space, and even after Canada joined the shuttle program by agreeing to build the shuttle’s robot arm, the U.S. government had to persuade the Canadian government to agree to fly astronauts on the shuttle. The robot arm, which later became known as the Canadarm, was a success and has become a symbol of Canadian high-tech excellence that will live on through a successor robot manipulator operating on board the space station. While the shuttle meant that the U.S. astronaut corps was enlarged from its original group of white male test pilots to include scientists, women and members of visible minorities, astronauts remained highly trained and highly fit people. With only a few exceptions, everyone who flew on board the shuttle was a professional astronaut. The illusion that the shuttle would open access to space to average people – symbolized by the school teacher who flew aboard Challenger on its final flight – was shattered with the loss of Challenger and its crew. Although shuttle flights never became routine, they appeared routine enough for the media and most people to regard shuttle flights as everyday events. 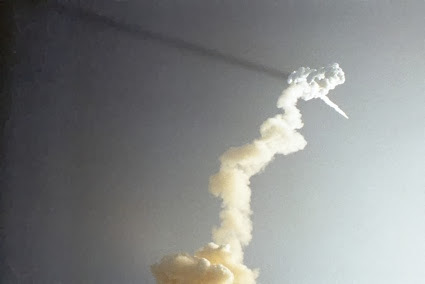 The only reason news networks continued to cover shuttle launches was because of the possibility of a catastrophe. While astronauts are admired and many people look forward to flights to the Moon or Mars, the fact is that the public doesn’t support increasing funding for space travel. Indeed, in today’s harsh economic climate, many question the need to spend any public funds on the shuttle and the space station. A major reason why few people support more spending on space travel is simply that they know that they have virtually no chance of traveling into space. In 50 years of human space flight, only 523 people have flown into space. That means about 10 new people a year get to venture into space. Before larger numbers of people can fly into space, the cost barrier for spaceflight will have to be brought down. The shuttle was an attempt to breach that barrier, but a failed one. Other attempts by NASA, the U.S. Department of Defense and private industry to break the cost barrier have also failed. The funds and talent that were spent on the shuttle for 30 years became an obstacle to a new generation of spacecraft needed to open up space to more people. Those in Congress who protected and tried to micro-manage the shuttle program are now mounting a rearguard action to save expensive rocket and spacecraft programs set up by the George W. Bush Administration to replace the shuttle. By looking to the private sector to carry people into space in the future, President Barack Obama and his administration have recognized that maintaining a jobs program protected by members of Congress is not the way to move the U.S. space program forward. Obama’s policy also recognizes that governments will not win public support for new space programs to replace the shuttle, especially in a time of economic hardship and growing needs for social and security services. The end of the shuttle program is sad for those of us who have closely followed this technological marvel for more than a generation. But in order for space exploration to move ahead and for space to be opened to more people, the shuttle program must come to an end. Human space travel will go on with the International Space Station, and Canadian astronaut Chris Hadfield is getting ready to command the station starting next year. Robotic space exploration is also going strong. The Dawn spacecraft is arriving at the asteroid Vesta, and other craft are exploring Mercury, Venus, Mars, and Saturn. A space probe is on its way to Pluto, and new spacecraft are being readied for flights to Mars and Jupiter. And planet Earth has its own space infrastructure for remote sensing, weather forecasting, communications, and GPS navigation, among other things. New private sector space transportation providers such as SpaceX are coming forward, but it will take them years to make the next American-built spacecraft to carry astronauts into orbit. Elsewhere, companies like Richard Branson’s Virgin Galactic are developing vehicles that will carry tourists on suborbital hops into space with the hope that growing demand might lead to an orbital tourism industry. For the next few years, Americans will have to depend on Russian spacecraft to reach the International Space Station as the new private sector space transportation providers develop their vehicles. The deadlock that has developed between the Obama Administration and Congress over space transportation policy will only delay the day when American spacecraft again carry Americans and others into space. America’s deadlock over space transportation affects other space programs, too. The Canadian government had promised three years ago to develop a new policy for Canada’s space program. That policy remains in limbo, awaiting a resolution of the space transportation dispute in Washington. At the same time, Russia’s space program is slowly regaining momentum, China is launching its own taikonauts into space, and India is becoming a space power. The European Space Agency and Japan also have highly developed space programs, but economic problems may limit their ambitions in the immediate future. Canada will have a number of options for continuing its astronaut program, not all of them involving NASA. As the era of human space flight enters its second half-century this year, the only certainty is that major changes are coming. The death last year of Neil Armstrong has driven home the reality that the space race that culminated with Armstrong’s first step on the Moon has passed into history. In 2012 we also lost two notable astronomers whose roles in that cosmic competition have not often been remarked upon. Sir Patrick Moore, who died at age 89 on December 9, and Sir Bernard Lovell, who passed away August 6, not long before what would have been his 99th birthday, had many things in common, including being Englishmen who made major marks on astronomy, their skill as musicians, and their love of cricket. While their names today mean little to people outside the United Kingdom, in the 1960s both were well known in Canada, even outside astronomical circles. Lovell spearheaded the creation of the gigantic 76-meter radio telescope at Jodrell Bank in Cheshire, and in so doing became one of the founding fathers of radio astronomy. He gained fame and may have saved his astronomy program by using his telescope to track early space vehicles. Moore was famous in the UK for the 55-year-long run of his monthly BBC television show, The Sky at Night. Because this show did not appear on Canadian television, Moore was best known here as a prolific writer on astronomy and space travel. Rare was the Canadian space enthusiast in the 1960s and 1970s who didn’t own a copy of at least one of his books. In my case, it was his Moon Flight Atlas. While the claim in one British obituary that Moore was the world’s most famous astronomer is debatable, he was probably the world’s most famous amateur astronomer. He had come to his interest in astronomy in his childhood, but gave up his admission to Cambridge University to join Bomber Command as a navigator in World War II. After the war, he turned to teaching, observing, and writing the first of his books, which with various editions and translations number in the hundreds. In the 1950s and 1960s, Canada had much stronger political, economic and cultural links to Britain than it does today. Canadians in those days read more British books and periodicals than they do today, and English Canadian broadcasters used British radio and television shows that were never broadcast in the U.S. or shown there only once they had won popularity in Canada. So it was no accident that Moore became well known in English Canada at the time. Moore had trained in Hamilton, Ontario, for his wartime service, but his postwar visits to Canada were rare – a fact that he regretted when he met a group of RASC members in Toronto in 1985. Although younger Canadian astronomers may not know the name of Patrick Moore, many of them learn the wonders of the deep skies with the help of the Caldwell Catalogue of 109 deep sky objects that is named after Moore, its creator, whose full last name is Caldwell-Moore. Moore was also involved in the rise of space travel. It has been widely noted that The Sky at Night debuted just a few months before the launch of Sputnik in 1957, and the show benefited from the explosion of interest in space that came with the space race that began with Sputnik and culminated with Armstrong’s and Buzz Aldrin’s landing on the Moon in 1969. Even before Sputnik, in 1956, Moore had signed on as the first editor of Spaceflight magazine, the flagship publication of the British Interplanetary Society (BIS) that remains today the English-speaking world’s most popular magazine dedicated to space exploration. As an expert on the Moon, Moore encouraged its exploration, and he helped present the BBC’s live television coverage of the Apollo flights to the Moon. Many astronauts and cosmonauts appeared on The Sky at Night, including Neil Armstrong. After those flights ended four decades ago, Moore continued to the end of his life to feature spacecraft that explored the solar system and probed the heavens. When Voyager 1 flew by Saturn and its moon Titan in 1980, I attended the encounter at the Jet Propulsion Centre, and a highlight for me was meeting Moore, who was there to gather material for his show and his books. 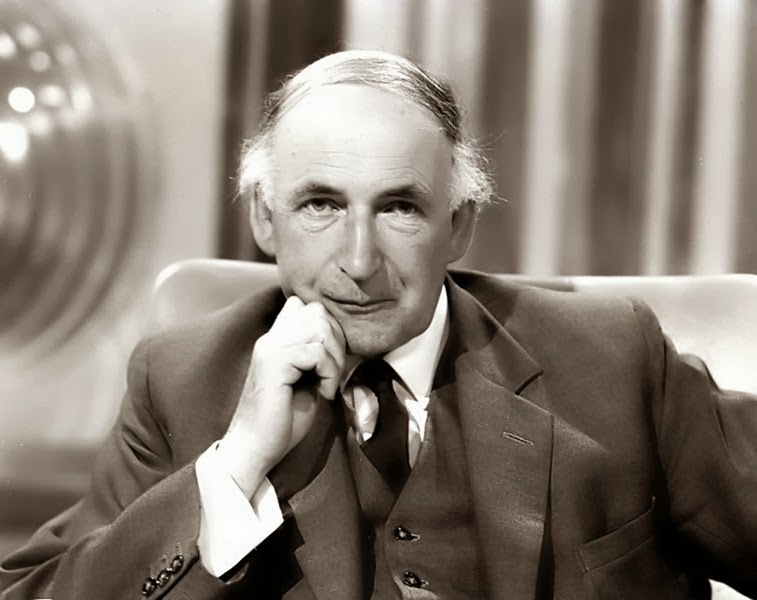 By the time of that long ago encounter, Sir Bernard Lovell was nearing retirement. Lovell’s passing in August was not as widely noted as Moore’s in part because Lovell has been out of the public eye for decades. Lovell was director of the Jodrell Bank Observatory in 1952 when construction began on the Mark 1 telescope, which became the world’s largest steerable radio telescope. By the time the telescope was completed in the summer of 1957, it was well over budget and the subject of an investigation by the Public Accounts Committee of the House of Commons. When Sputnik was launched that fall, the Jodrell Bank telescope was used to track Sputnik’s booster rocket by radar, proving its utility to skeptical politicians and members of the public, including a rich benefactor who paid off the remaining deficit on the telescope’s construction. In those early days of space travel, both Soviet and American space authorities called on Jodrell Bank to track spacecraft sent to the Moon, Venus and Mars, and the British media became frequent visitors to the radio telescope. In 1961 Lovell was knighted, formalizing the fact that his telescope had become a source of national pride. Lovell’s – and Jodrell Bank’s – moment of greatest international notoriety arrived in February 1966 when the Soviet Union’s Luna 9 became the first spacecraft to land intact on the Moon. Not long after Luna 9 sent back its first data from the lunar surface, the nature of the signal changed and personnel at Jodrell Bank recognized it as being similar to signals used to transmit photos to newspapers (and later used for fax machines) because Jodrell Bank had previously been involved in communications experiments with the Echo 2 balloon satellite. When Lovell noted the nature of Luna 9’s signals to newspaper reporters who had come to Jodrell Bank, the Daily Express brought a facsimile machine to the telescope and used it to produce images from the surface of the Moon when Luna 9 transmitted more photos the next day. The Luna 9 photos appeared in the Express and other British newspapers before the discomfited Russians could release them, and Lovell became for a brief time an international celebrity. Only a small fraction of Jodrell Bank’s operating time was used to track spacecraft, however, and Lovell and his team made many contributions to astronomy, from the nature of cosmic rays and meteorites to groundbreaking work on quasars and pulsars. The Mark 1 Telescope at Jodrell Bank was eventually named in Lovell’s honour, and continues to operate today. Only two steerable radio telescopes are larger than the Lovell Telescope. In October 1971, when Lovell visited Edmonton to speak at the University of Alberta, he drew a crowd of more than 800 curious members of the public, including this writer. As in the case of Moore, I believe that Lovell’s fame in Canada at the time was related to Canada’s closer links to the UK at the time, as well as his association with the exploration of space. Like Moore, Lovell was a prolific author. In an account of his speech in the Edmonton RASC Centre publication Stardust, Lovell expressed the hope that more resources would be put into basic space research such as he was doing and less into spaceflight technology. No doubt Lovell’s concern about the emphasis on space technology was related to the space race’s emphasis on political competition at the expense of science. The Cold War and the space race between the United States and Russia are over, and today many orbiting telescopes and spacecraft that explore the solar system have taken their places among the tools used by astronomers to do their work, alongside optical and radio telescopes. Sir Patrick Moore and Sir Bernard Lovell advanced astronomy not only with their work as astronomers but also through their roles in the 1960s space race that helped vault them both to fame.